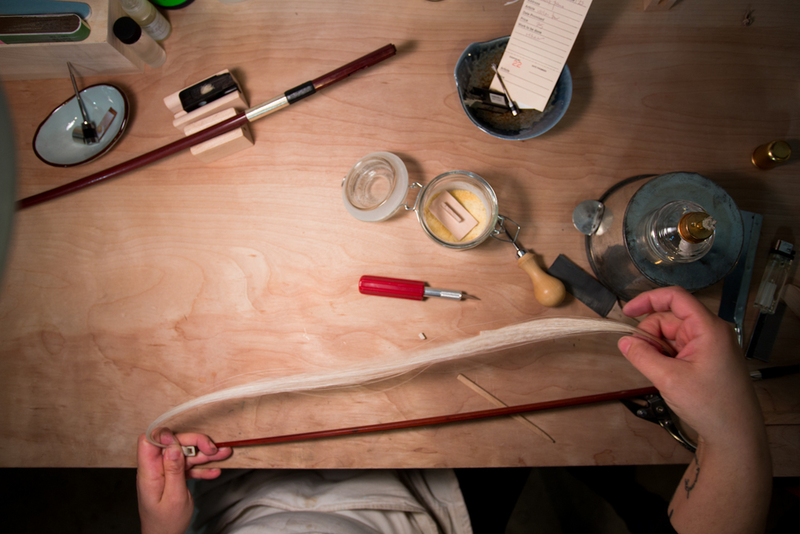 over the last few years, i have been able to learn the craft of rehairing and repairing bows for string instruments. there is such a need in our very musical community, and whether you are pursuing a degree in performance at UGA, enjoying playing in one of athens' many diverse bands, or just want to bring one down from the attic and have it in playing condition again, i hope to provide athens' string musicians with a dependable and local option for when this work is needed. please feel free to contact me to schedule an appointment, receive quotes, and ask questions regarding your bow.